When it’s cold outside you need a recipe to warm up the whole family, Hunter Chicken is just perfect! In italian we say Pollo all Cacciatora “Hunter Chicken” /POH-LOH AH-LAH CAH-CHAH-TOH-RAH/ and it is another great recipe that will bring the family together. It reminds me of a winter’s day, about 27 years ago (I would have been 15 years “young” ) and like every teenager coming home from school it was the highlight of my day!! I was always looking forward to coming home, most of all after all those tests and long hours learning about what I though it was boring ( at that time I thought all teachers were evil, I wonder if it’s what my students think about me now!!) … as I walked in, the whole house smelt divine but I was far too tired to chat about my day. A huge pot of Hunter Chicken was ready on the table with some fresh bread to mop up the dishes ( SCARPETTA /SCAR-PEH-TAH/ ) , the first bite and slowly I got my speech back. It was my kinda comfort food, when I say “Comfort” it means that not only did it bring the family to sit together but it also brought the comfort I needed as a teenager to speak up, to chat, to talk…. In a large saucepan heat the the olive oil and add the chicken. Cook for 5 minutes until the skin is golden. Add the carrots, celery, onion, salt, garlic and rosemary. Pour the wine and cook until the alcohol evaporates. Add the tomatoes , the cappers and cook on a low heat for 40 minutes. If needed add more salt. Pronto!! 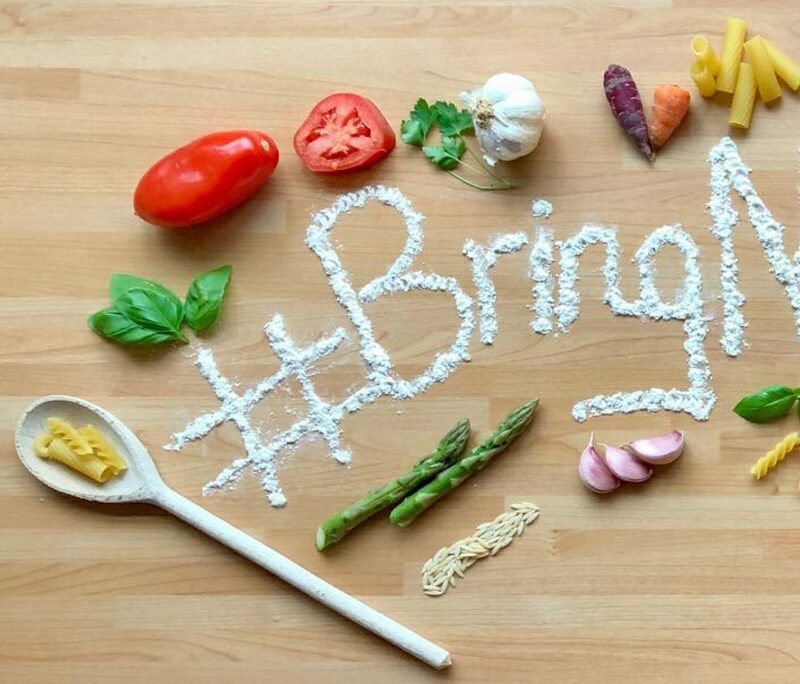 Serve with a loaf of bread and steamed or panfried vegetables. Roast potatoes are great too! 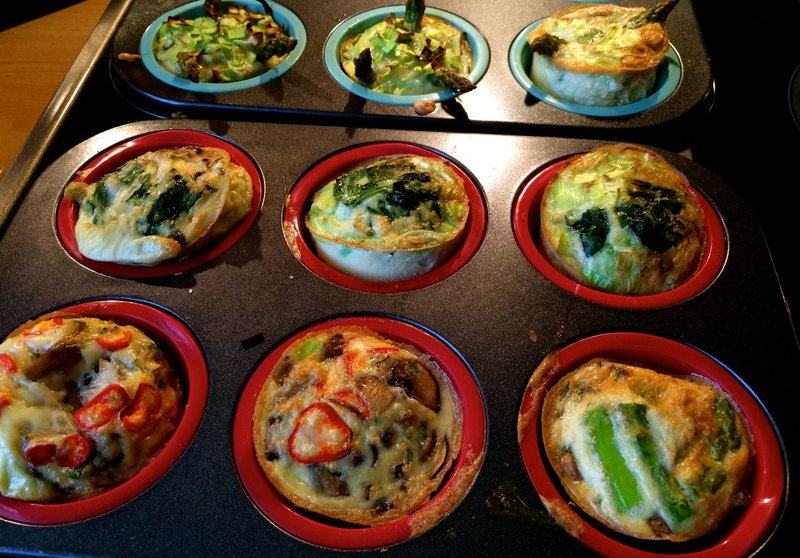 …….. or Savoury Muffins as baked in a muffin tray!!! Great for lunch, light dinner or as a snack. 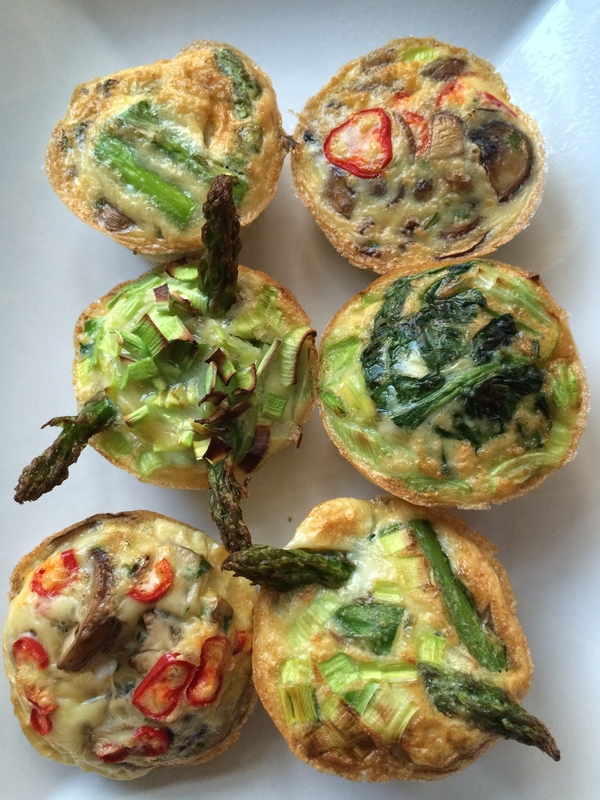 Dead easy to make, you need 2 silicon muffin trays, eggs and all your favourite vegetables! Preheat the oven at 200c (190c fan oven). In a large bowl whisk your eggs, add the salt and mix thoroughly. On a non stick pan add a little olive oil and put it on a medium heat. Put the asparagus in the pan and simmer for a couple of minutes. Put them aside. Put the mushrooms and parsley in the pan and simmer for a couple of minutes. Put them aside. Place the spinach in the pan and simmer for 2 minutes (add a little olive oil if too dry ). Now all your vegetables are half cooked, a part from the leek which will cook in the oven. Fill your tray with the vegetables by adding a little of your ingredients in each case, you can have one topping or more than one in the same case. Make sure your vegetables are equally placed into the tray (you should fill 9 cases). You can add a couple of slices of chillies for a nice kick! Pour the eggs on each case and put them in the oven for 15/20 minutes until the eggs are cooked (put a knife inside your frittatas to check if they are completely done). Pronto!!! P.S. You can add some grated cheese, pancetta or ham but make sure you cook the pancetta first. 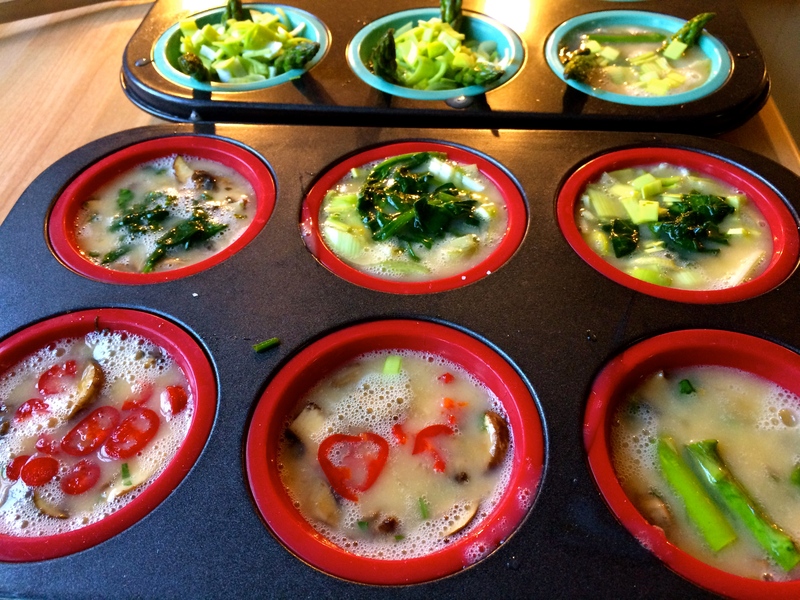 You can serve them with a salad and you can eat them hot or cold ( I usually make enough to have them the next day and they still taste delicious!!! ).